The site has about 23 users daily, viewing on average 3.00 pages each. It is hosted by Web Africa Atlanta Data Center Allocation 1 Cape Town, using Apache/2 web server. 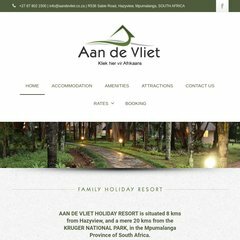 Aandevliet.co.za's server IP number is 196.220.42.51. It has 2 DNS records, cdns2.glodns.net, and cdns1.glodns.net. PING (196.220.42.51) 56(84) bytes of data. A ping to the server is timed at 30.1 ms.